We mourn the loss of poached rhinos, and root for the lucky ones, the survivors. But what does "surviving" entail? In September of 2013, three white rhinos were poached. Their horns were cut off with a chainsaw. One died, the other two, named Dingle Dell and Lions Den survived. 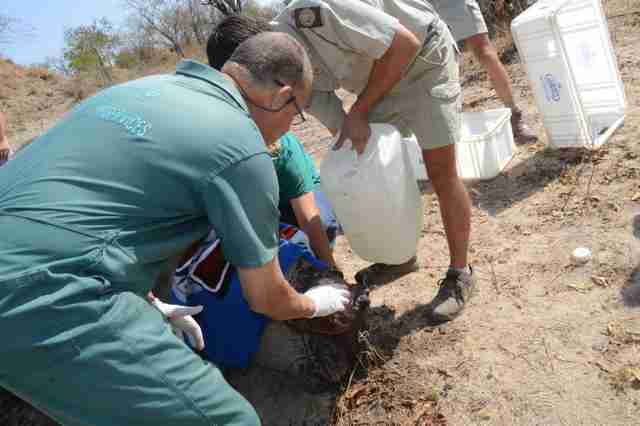 The cows were brought to the Hoedspruit Endangered Species Center where they received veterinary care. The bloody wounds inflicted on them left their sinus cavities exposed. 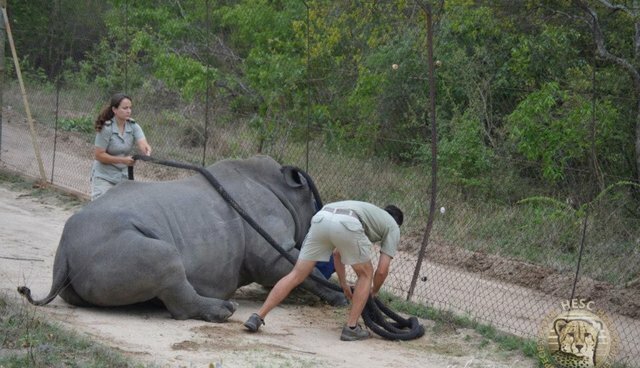 The veterinary team performed skin transplants, the first ever on rhinos. They have both endured numerous operations and treatments. Dingle Dell recovered within months, but Lion's Den is still healing a year and two months since the poaching. 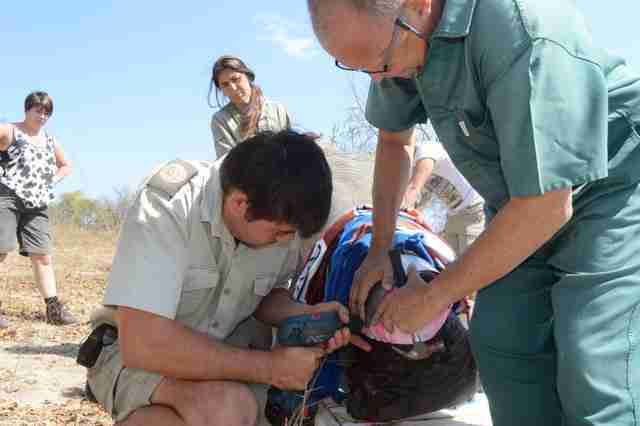 She is darted and her wounds checked regularly to monitor her recovery. Here is a pictorial of one of her treatments. After darting, her eyes are shielded and the team loosen the screws on the metal plate covering her cast. 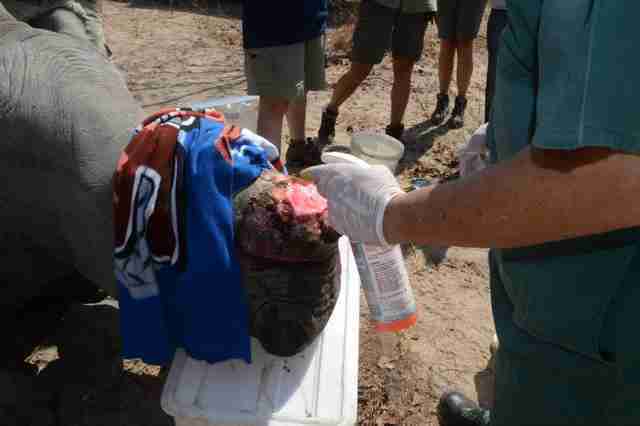 The "improved" wound is examined and insecticidal spray is applied to keep flies and maggots away. She is given reversal drugs to counter the anesthetic, awakens and is quickly joined by Dingle Dell. It is a long road of recovery for these gentle giants. It is unclear how much pain she is in or the extent of her physical suffering, nor the psychological trauma she has endured. But fortunately she is in good hands and is making progress. 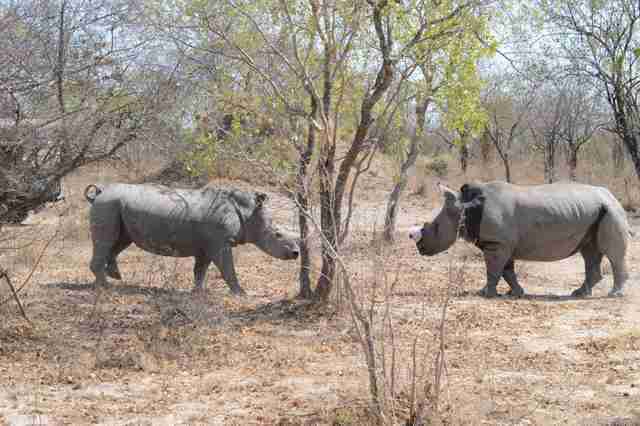 The lesson to take from Lion's Den, Thandi and other rhino survivors is perseverance. They have no choice but to fight and carry on. It is for that reason we have no option but to do the same. Each life saved is a victory to be celebrated, a reason to wake up and fight another day. 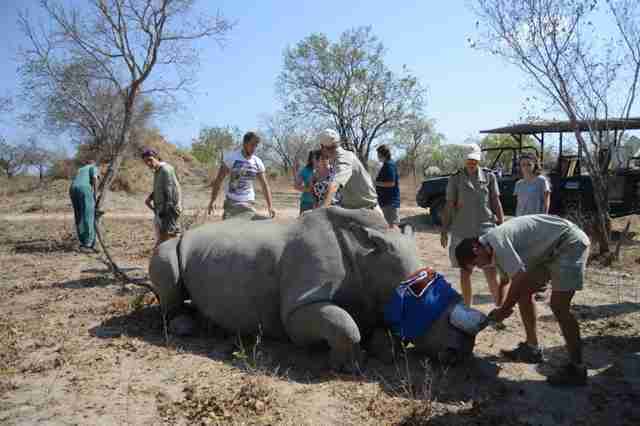 Photos via Hoedspruit Endangered Species Center.